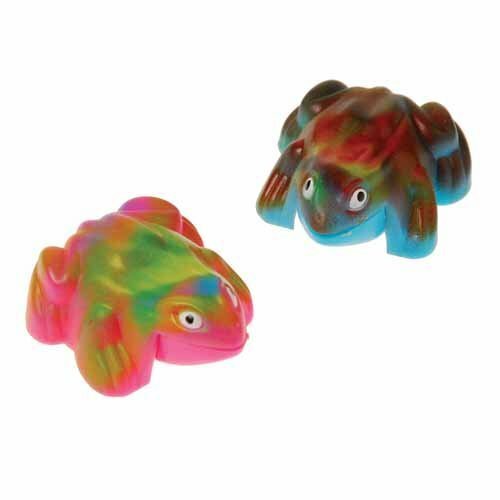 They will hop with happiness with these neon frog clickers. Brightly colored, these attractive noisemakers produce sound when the metal clicker is pressed. Hand them out as party favors at your next event and let the fun begin. Made of plastic. Size: 1-1/2" L. Assorted bright neon colors. U.S. Toy Exclusive. Each bag has 12 Frogs.